1. B is complex. 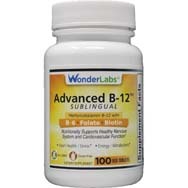 Actually, you’ve probably heard of B-complex as a supplement. 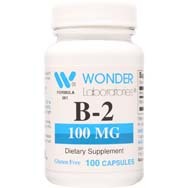 The eight B vitamins — B1, B2, B3, B5, B6, B7, B9, B12 — when combined in one supplement often go by this name. They all are essential in keeping our bodies functioning properly, helping convert food into the fuel that energizes us. Here’s the breakdown of the specific properties of the various Vitamin Bs. 2. Thiamin (Vitamin B1): This vitamin, which produces cellular energy from the foods you consume, can be found naturally in foods like milk, pork, lentils, red meat, whole grains, spinach and legumes. 3. Riboflavin (Vitamin B2): Found in foods like broccoli, milk, eggs, beef, spinach and salmon, riboflavin lays the foundation for development and supports the body’s antioxidant activities. 4. Niacin (Vitamin B3): Niacin, which can be found in beef, fish, poultry, peanuts, lentils and whole wheat bread, supports dozens of chemical reactions in the body. 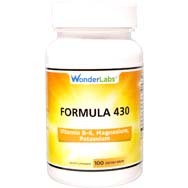 It is beneficial to keeping your nervous system, digestive system, skin, hair and eyes healthy. 5. Pantothenic Acid (Vitamin B5): Pantothenic acid, which can be found in avocados, cashews, brown rice, broccoli, liver, milk, and peanuts, helps support fatty acid synthesis and cellular energy production in the body. 6. 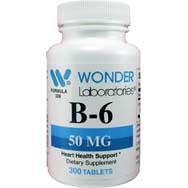 Pyridoxine (Vitamin B6): Found in various foods, including meat, poultry, bananas, fish and spinach, helps metabolize amino acids and glycogen and maintains a normal nervous system and red blood function. 7. Biotin (Vitamin B7): Biotin, which can be found in foods like strawberries, meat, cheese and soybeans, supports the metabolism of carbohydrates, proteins and fats. 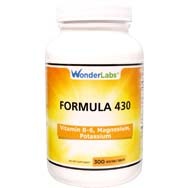 Biotin also is a supplement used to boost healthier hair, skin and nails. 8. 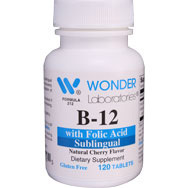 Folic acid (Vitamin 9): Folic acid, which helps form red blood cells and with the metabolism of amino acids, is frequently recommended by physicians for pregnant women to aid in the healthy development of a baby’s spinal cord and nervous system. It can be found in fortified breads and cereals, as well as dark green leafy vegetables like spinach. It also can be consumed from eating beets and avocados. 9. 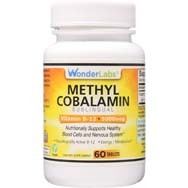 Cobalamin (Vitamin B12): Besides helping to produce cellular energy, cobalamin also promotes a healthy nervous system and helps with the formation of red blood cells. It can be found in various foods with an animal origin, including chicken, beef, fish, milk and eggs. 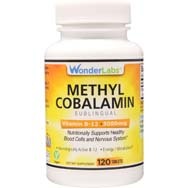 This vitamin comes in numerous forms, including cyanocobalamin and methylcobalamin, which seems to have a better absorption rate in the body. To avoid a Vitamin B deficiency, eat a healthy varied diet and add a Vitamin B supplement to your daily routine. 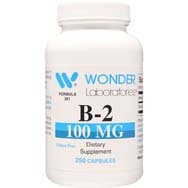 Wonder Lab’s Methylcobalamin Vitamin B12 5000 MCG Sublingual Tablets, which also are approved for vegans and vegetarians, is a form of B12 that is active in the central and peripheral nervous system.